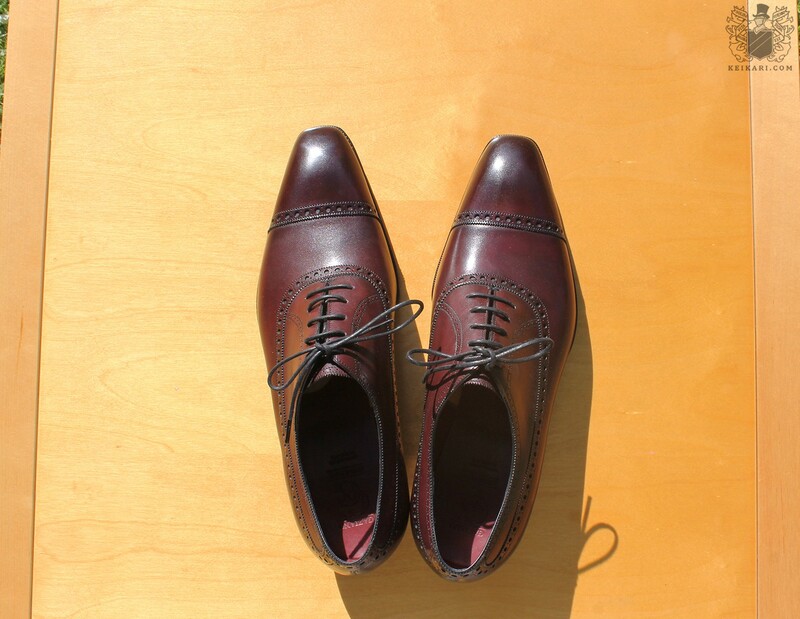 Anatomy of Gaziano&Girling shoes | Keikari.com Anatomy of Gaziano&Girling shoes | On classic men's style, elegance and the beautiful life. So much has been written of the Gaziano&Girling shoe factory already that I’ll spare my readers a re-read of the essentials. 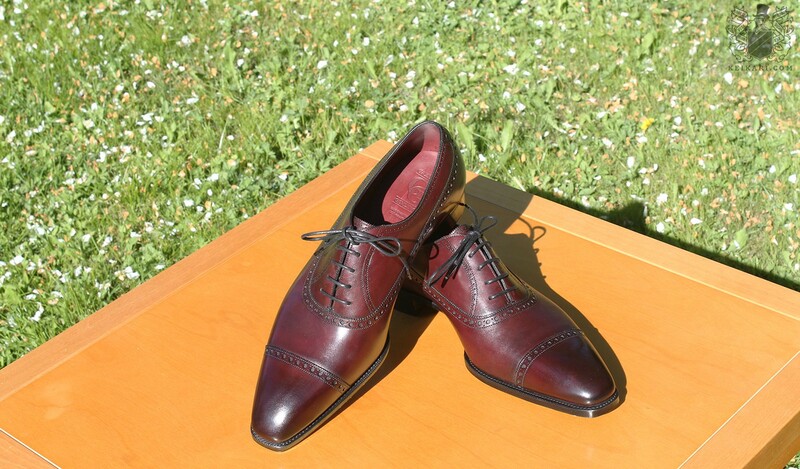 Suffice it to say that they make Goodyear-welted men’s footwear from very expensive leathers using old machinery, a combination of hand- and machinework, and features copied from bespoke shoemaking. 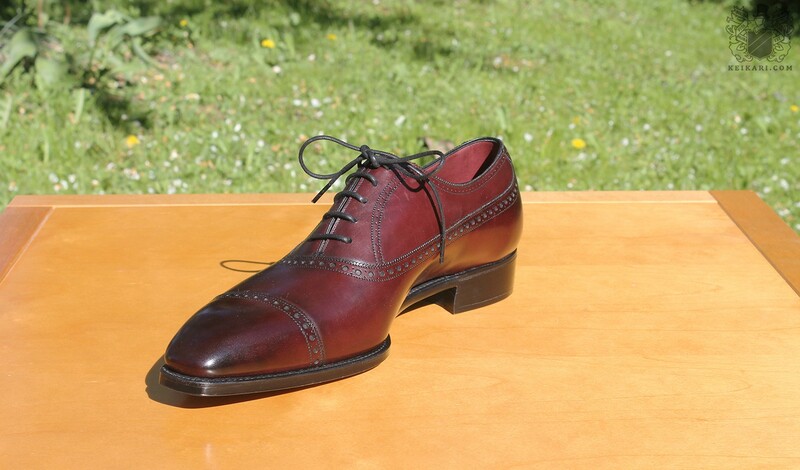 The end result is a very high-end off-the-peg shoe. 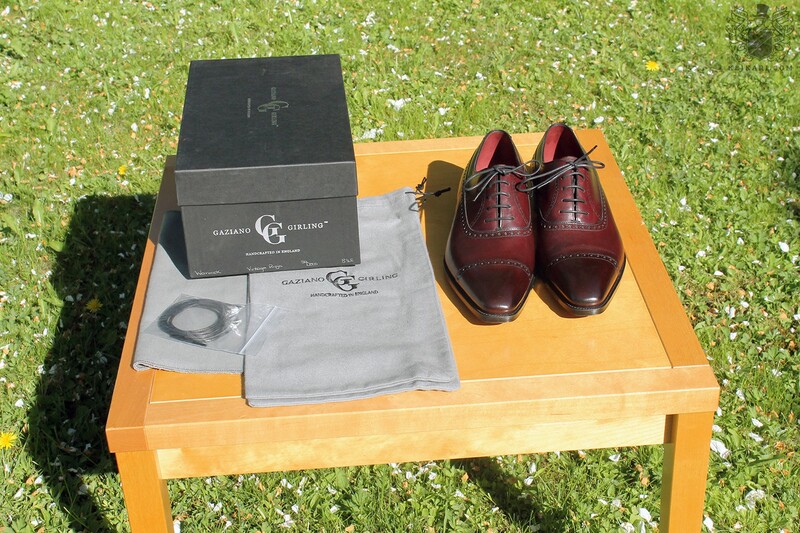 If this is not enough, they also offer a made to order service as well as full bespoke pairs for deep-pocketed chaps. 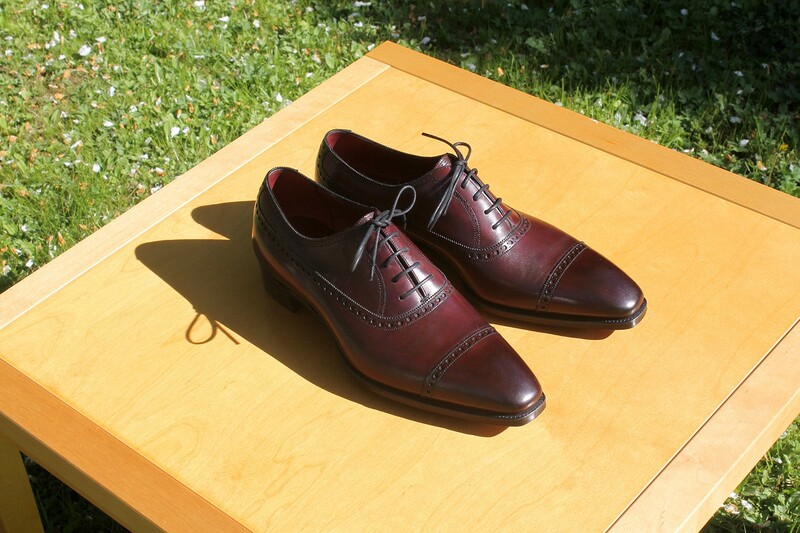 The example pair is the model Warwick, a balmoral oxford made on G&G’s Art Deco-inspired Deco-last. 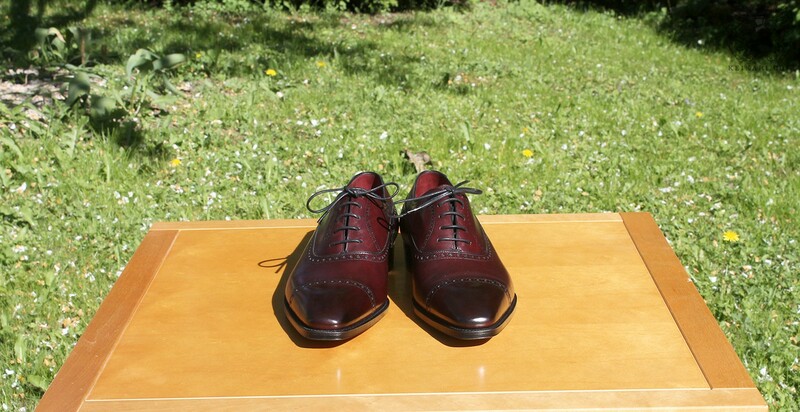 The first-grade calfskin is dyed vintage rioja, or very dark red, and the oak-bark leather soles have that rare feature of bevelled waist. On first inspection, the last looks elongated and very curvaceous. The Deco is Gaziano&Girling’s most pointed last, just on the verge of being too pointy for my eyes…though not yet so. Looking from top down, the welt is cut so close as to disappear under the curves of the last. This makes the pair look more delicate than those with wide, burly welts. 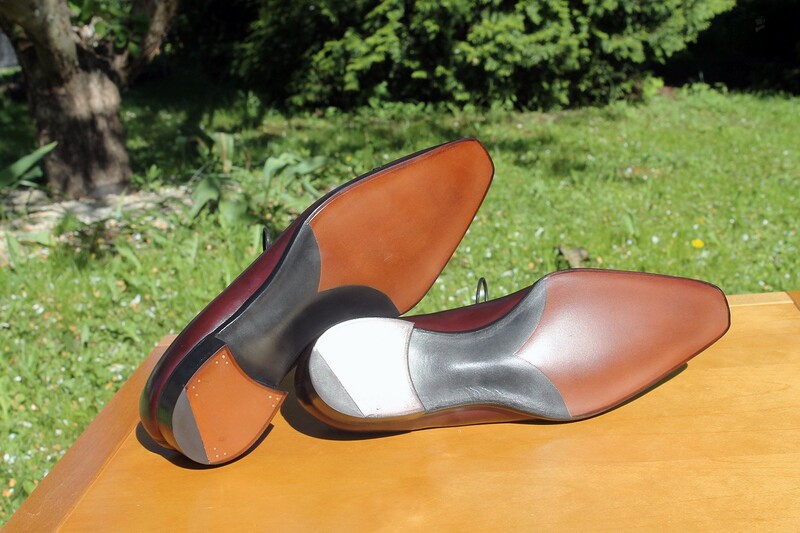 The curves are strongest around the arch of the foot, where the uppers are turned so inwards as to give great support. The heelcup is very rounded and hugs the heel tightly. Continuing about the last, I must say it is among the lowest I’ve ever tried. A true boon for men with low insteps and low toes, a very difficult fit for others. The leather looks flawless, no matter how close the eye comes. The surface is smooth, soft, the colour is even, the leather creases very little. The stitches are straight and clean all around, same goes for the brogue decoration. While the welt is not as closely cut and rounded before the heels as I’ve seen, it disappears thanks to the last shape. 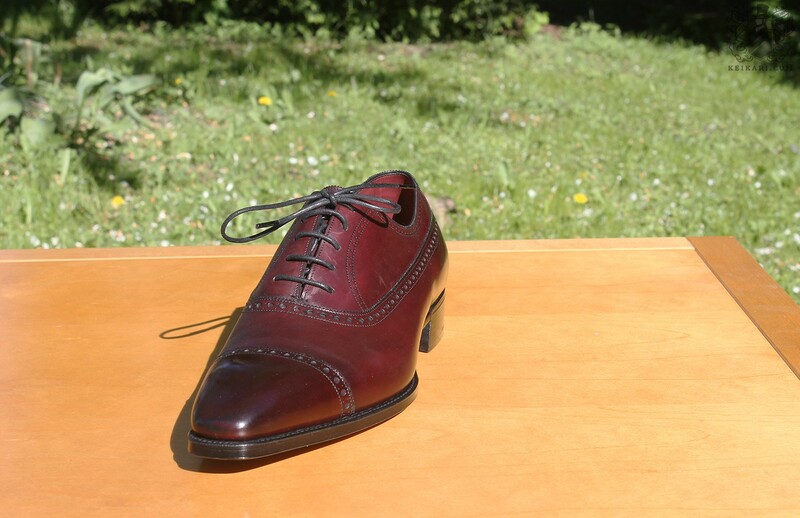 Around the heel and sock, the leather lining comes in a similar colour as the uppers, a feature I’ve rarely seen in RTW shoes. 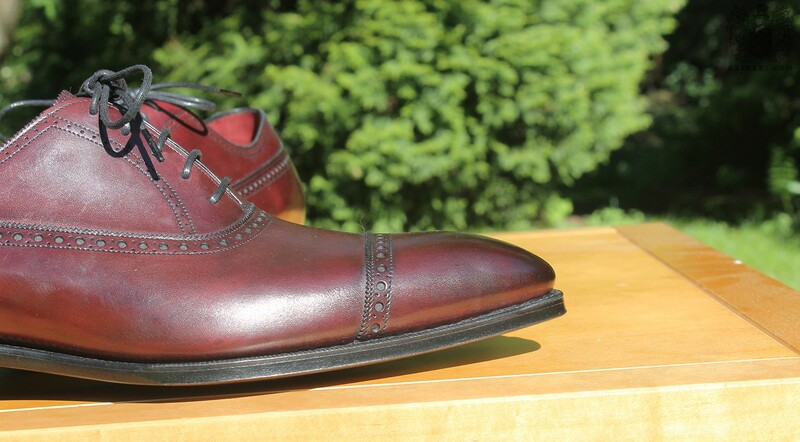 The toes and heelcups are slightly darker than the rest of the uppers, burnished for a more interesting look. The pair is also polished well at the factory before shipping. The toeline is nicely curved downwards from the top. 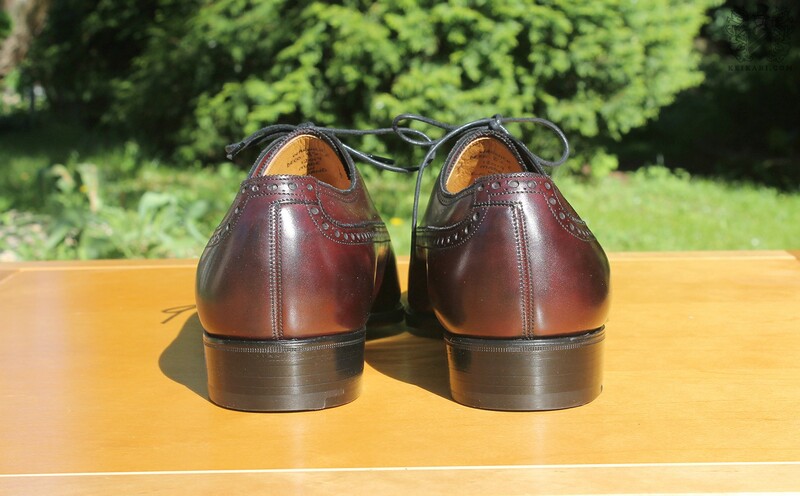 Comparing the sole finish to my older pair from G&G, it seems that they’ve let go of their previous fiddleback waist, replacing it with a less cut in shape that’s still equally narrow. The uppers are cut lower around the ankle’s outer side to make the pair look more delicate. The pair arrived in an okay shoebox with extra laces, a cotton flannel polishing rag, and cotton flannel storage bags. 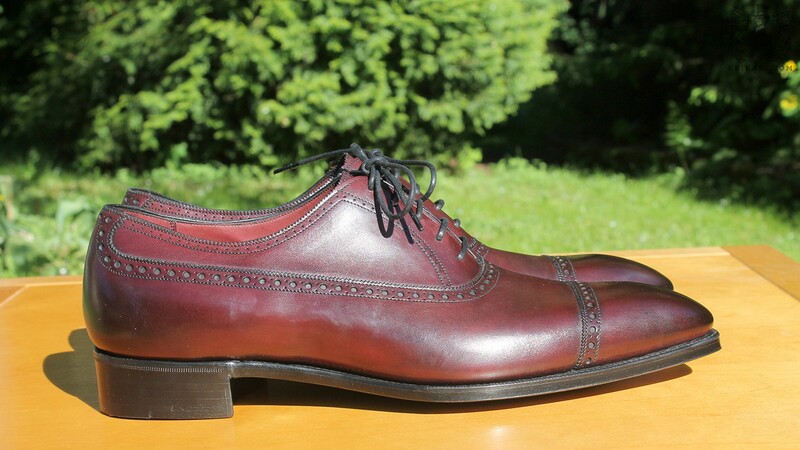 These days, G&G asks for a bit under one thousand pounds for their pairs. 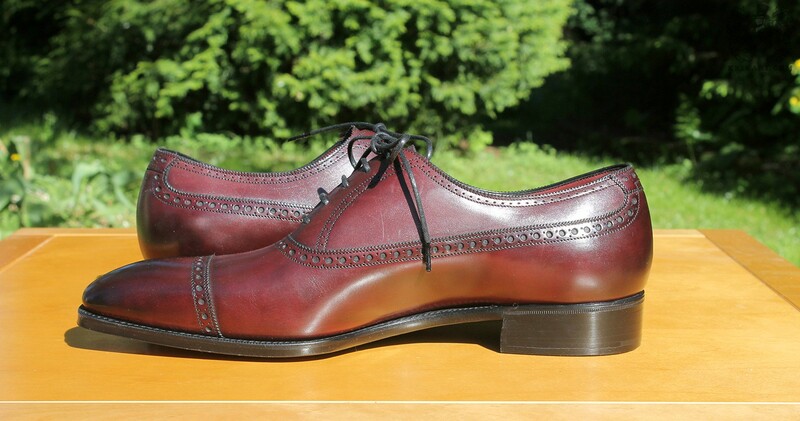 In return, they offer what I feel is among the best damn made RTW shoes on the market. With the caveat, of course, that the customer can find a suitable fit among their strongly sculpted lasts. The leathers, finishing, last shapes, detailing, everything just looks and feels so fine. The only thing I’d change is the outer sole, which seems very thin to make for a long-wearing workhorse. All else is fine and dandy.